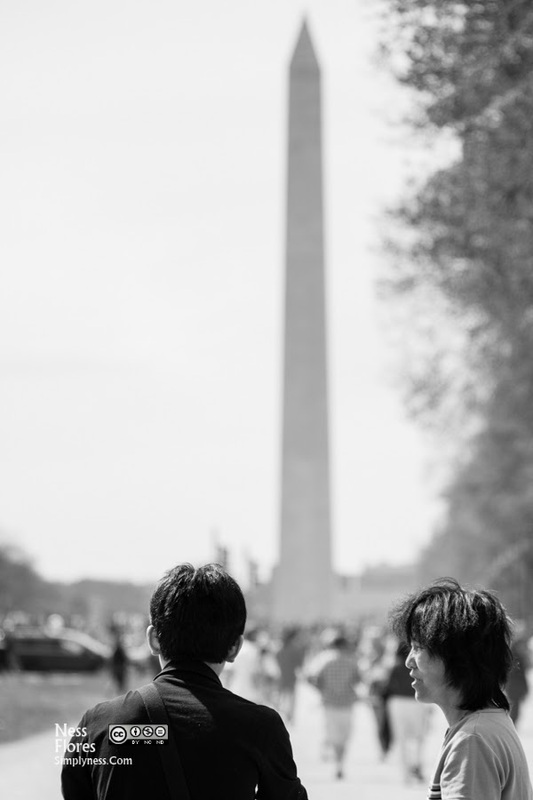 black and white canon people street photography washington dc Washington Monument Are We in Washington DC? Shot yesterday at the National Mall, I was walking towards the Washington Monument (seen in background) when I notice this tourist couple arguing, Seems to me that the lady is all over him, not sure what they were arguing about. Shot this photo with Canon Rebel XS and the Sigma APO 70-300mm DG.